Thank you Mary Earl of the Kitsap Sun for including the 2016 Diffraction in your recent lineup of cellar samples to taste before harvest starts. Join in the celebration of the 2018 wine harvest by participating in festivals, luncheons, dinners, crush parties, wine stomps, vineyard hikes, and even a half marathon run through Wine Country. We’ve collected a sampling of events for you to consider across the United States from New York’s Finger Lakes to the hills of Sonoma, Virginia to Texas, Washington, Oregon and Napa. You can stomp grapes or dine in the vineyard by candlelight, go wine tasting with the winemaker, and even make your own case of rosé. Well, what are you waiting for? The grapes have been brought in and harvest season is here, so make some reservations and get in on the fun. 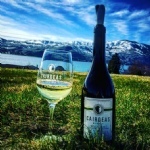 Cairdeas Winery will partner with Chef Aaron Tekulve of Surrell for the Winemaker’s Pop-Up Dinner Series at their vineyard and tasting room in the Lake Chelan AVA. Chef Aaron will create seven spectacular courses of New American Cuisine featuring ingredients from the very best of Pacific Northwest farmers and purveyors. 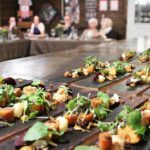 The courses are thoughtfully presented with four featured Cairdeas wines and paired with the fresh ingredients of the season. 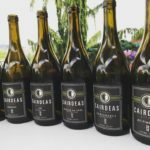 Harvest is anticipated by mid-September, so you can expect a pre-dinner vineyard and barrelhouse tour to experience the beginning of Cairdeas Winery’s 10th vintage of wine. 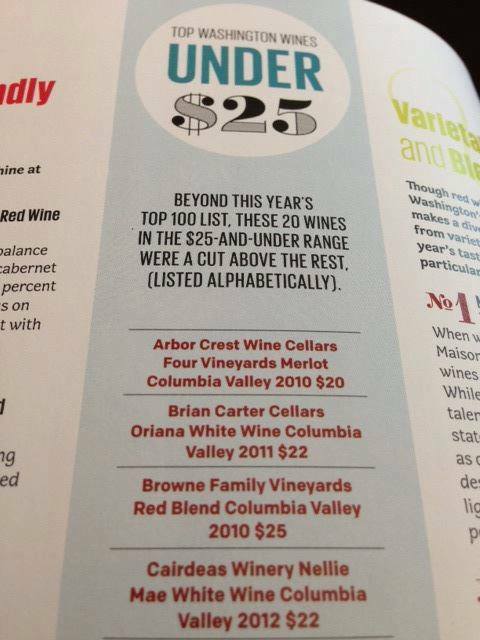 We are thrilled to have our Syrah in this lineup! It received an OUSTANDING review! Whether you’re looking for a Syrah that is subtle and savory or bold and rich, it’s easy to find various styles of the famous Rhône red in the Pacific Northwest. Despite global sales of Syrah/Shiraz being soft the past few years, the demand for Northwest Syrah remains strong, and the amount being made grows each year. 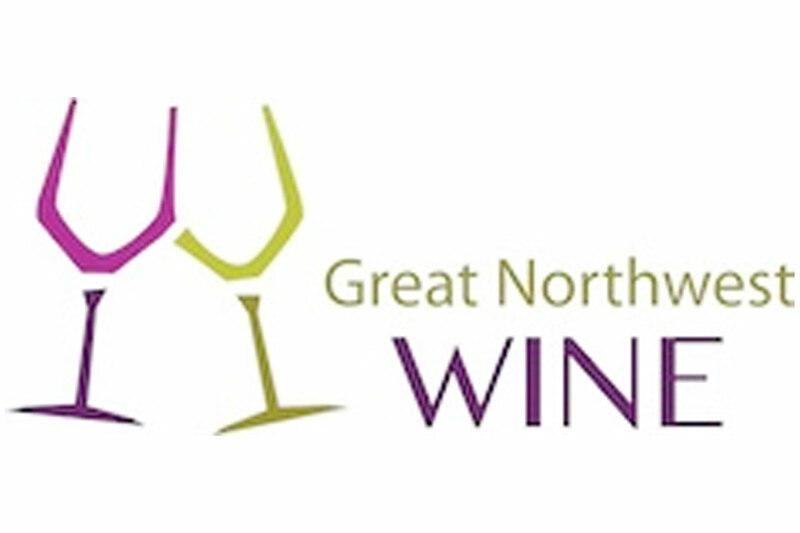 Here are a dozen delicious Northwest Syrahs we’ve tasted recently. Ask for them at your favorite wine merchant or contact the wineries directly. Cairdeas Winery owners Charlie and Lacey Lybecker have what it takes to operate a winery in Lake Chelan’s tourist-driven climate. The 30-something couple are gregariously friendly, energetic and passionate about the wine they make. And it is very good wine indeed. The name Cairdeas is fitting. It comes from the Gaelic word meaning friendship, goodwill or alliance. Charlie eagerly pours goodwill along with wine while making new friends and building alliances at the modest tasting room close to Manson. It’s also close to popular Lake Chelan Winery and Benson Winery. The three tasting rooms and others in Manson benefit from their close ties and stay busy with a continuous flow of wine sampling customers through the summer and fall months. With Lake Chelan Crush going on now, it’s a great time to pay a visit. Charlie tells visitors about the wines, their origin and inspiration, where the grapes are grown, how the wine is made and how the winery itself came to be. He recommends other local wineries for customers looking for a specific varietal he doesn’t make. He tells them how Lacey introduced him to the world of wine and how romance grew between them over bottles of Syrah. He tells them about their two young boys, Eugene and Francis. 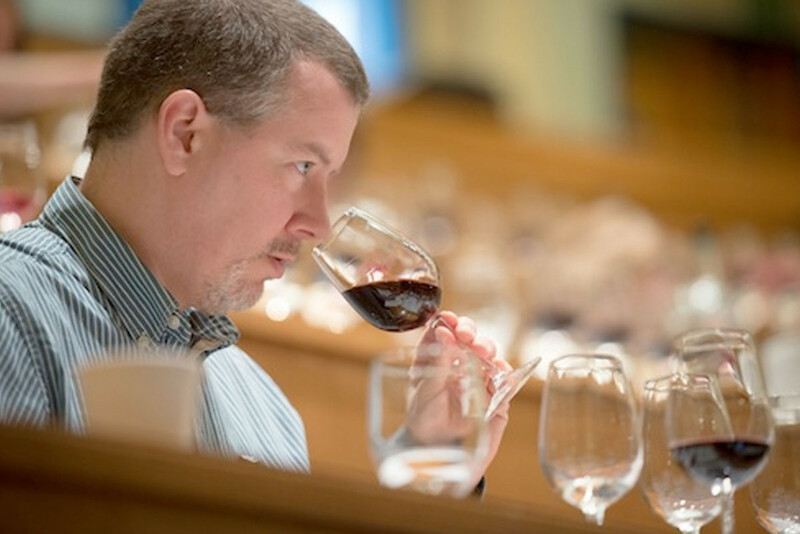 “I didn’t know a thing about wine,” he told a couple of wine tasters from Tri-Cities. 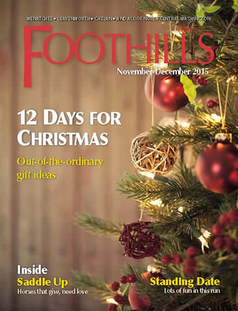 I was there to interview the Lybeckers for an upcoming Foothills magazine story. I didn’t really have to ask Charlie any questions. He told the whole story, piecemeal but personably, to customers who were as curious about his winemaking background as the wine itself. Nearly all purchased a bottle, some took out a case. “We blend everything here. 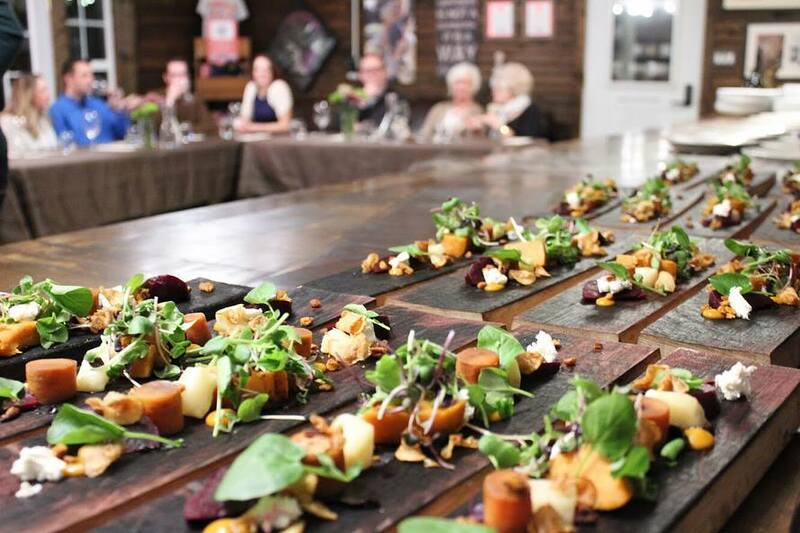 I love learning how different aromatics and flavors work together,” he told another group from Canada. 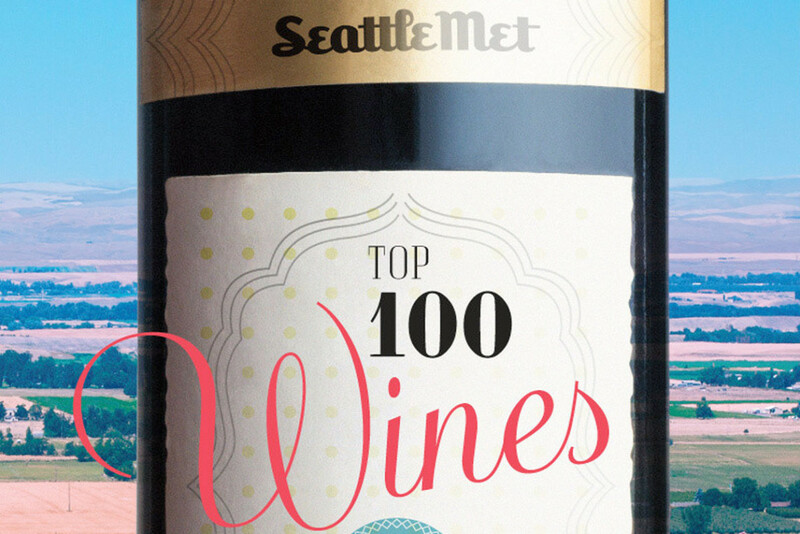 The couple started the winery in 2009 in the garage of their home in West Seattle. It didn’t take long for them to realize wine making was more than a hobby. They moved to Manson a couple years later and started their business on leased property. They later purchased six acres and opened their present winery and tasting room in April 2014. “We came here on vacation and were having a glass of wine and looking over the lake and decided, this is it,” said Lacey, about their decision to move from Seattle to Lake Chelan. “We knew we didn’t want to be an urban winery. We wanted the wine country lifestyle.” Lacey splits her time between the tasting room, marketing their wines and working as marketing manager for the Lake Chelan Chamber of Commerce. The couple looked at several locations in Washington and Oregon before deciding Lake Chelan was the ideal spot to start a winery, grow a vineyard and grow a family. 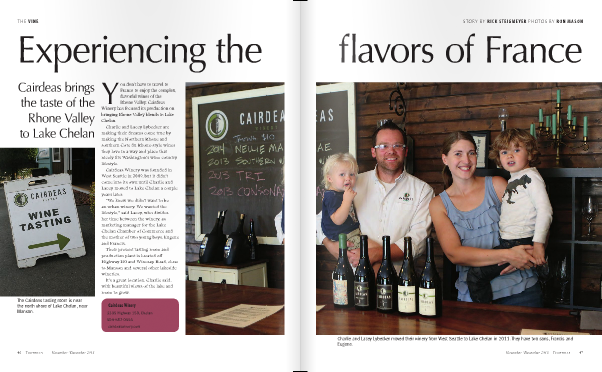 Cairdeas specializes in making wines inspired by the Rhone Valley of southern France. Syrah is the primary grape, often co-fermented with a small amount of Viognier for fragrance. Charlie seeks out exotic grapes like Roussanne, Marsanne, Picpoul, Grenache, Mourvedre, Carignan, Counoise and Cinsault for blending. “We love the aromas and flavors of Rhone blends,” Charlie said. Blends from such grapes are common in France, but still very new to Washington wine drinkers. 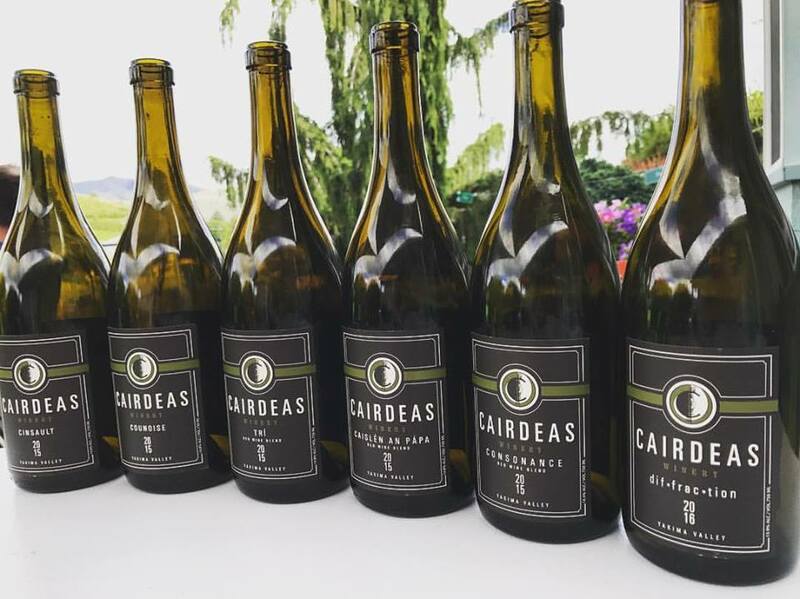 “Even people who are familiar with wine aren’t familiar with our wine varietals.” Cairdeas bottled about 2,500 cases this year, but plans to increase production after a new winery and tasting room is built on the present site next year. Charlies says he learns more about winemaking with each batch and each year. The tasting room wall covered with awards shows he’s come far fast. He gives Lacey credit for his winning blends. “She tastes everything and tells me when my work is done,” he said. Here are my notes on the four Cairdeas wines now available. The 2013 Syrah will be released later this year to wine club members only. 2013 Syrah: Three-year-old Eugene Lybecker’s colorful art decorates the label of this tasty wine. Syrah co-fermented with 4 percent Viognier makes for a silky, feather-soft wine that had me thinking of a bicycle ride along the Mediterranean coast. Super ripe blackberries, with notes of nutmeg, cardamon, cumin, cinnamon and a touch of cayenne. Careful with this one, it’s a 14.5 percent alcohol delicious bomb. Available only to wine club members. (Excellent) An aromatic wine with orange peel, pear, and tropical notes. The palate is dry, full bodied, weighty and textured with a lingering finish. 60% Roussanne, 40% Roussanne. Lawrence and Antoine Creek vineyards. Aged in stainless steel. 13% alcohol. 100 cases produced. (Good/Excellent) A moderately aromatic wine with pear, citrus, and abundant barrel notes. The palate is full bodied with sweet fruit flavors and a lot of texture and viscosity. 60% Viognier, 40% Roussanne. Lawrence and Antoine Creek vineyards. Barrel fermented in new French oak and aged in stainless steel. 13.3% alcohol. 2012 marked a return to warmer times in Washington. After two successive cool vintages – which made for some thrilling white wines, especially in 2010 – 2012 tracked close to historical averages in terms of temperature. One of the notable aspects of the vintage was a 100-day spell with no measurable precipitation from July through mid-October. 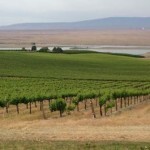 While large amounts of rainfall are never particularly common in eastern Washington, where most areas receive less than ten inches of precipitation annually, this was unusual and certainly contributed to the resulting wines, white and red. 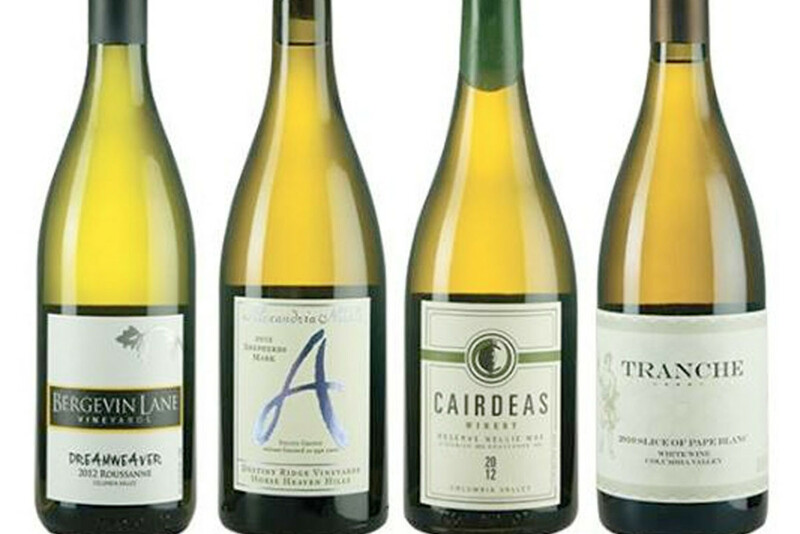 Washington white wines from 2012 are, generally speaking, considerably richer in style than their 2010 and 2011 vintage counterparts. Many are also higher in alcohol, some considerably so. As I noted here, while many 2010 and 2011 vintage red wines are noted by having listed alcohol levels under 14%, many white wines from the 2012 vintage have alcohol levels over 14%. Some of these wines were able to balance the higher alcohol levels with richer fruit flavors. Others were not. Below is a summary of 2012 vintage wine reviews from Washington, including wines previously published as well as new reviews. 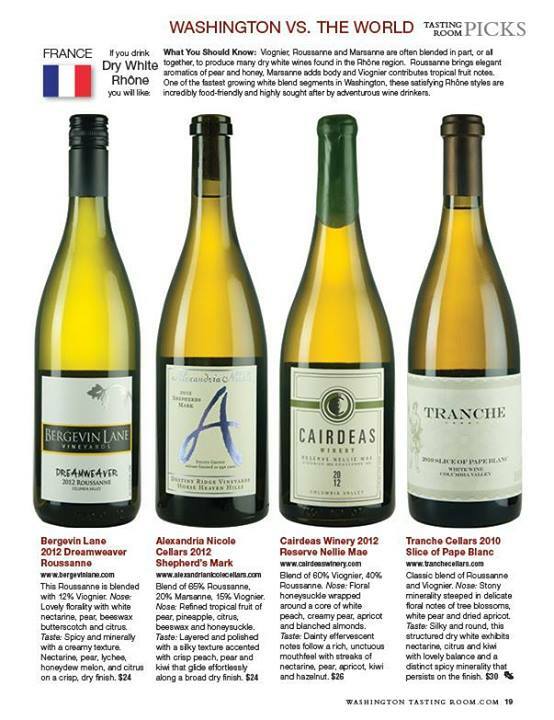 I have also included at the bottom a listing of currently published Wine Enthusiast Washington white wine reviews from the 2012 vintage. You can read the individual tasting notes, which are freely available, by searching for them here. Note that Wine Enthusiast also recently launched an impressive mobile phone application that also makes the reviews accessible on the go. Find it here. Beyond this year’s Top 100 list, these 20 wines in the $25-and-under range were a cut above the rest, (listed alphabetically).